What can South West Orthopedic Designs make for you? The South West Ankle Brace is one of the leading brands of custom thermo-molded ankle braces made for non-operative management of posterior tibial tendon dysfunction, as well as many other foot and ankle pathologies. Call NOW to increase your paycheck! The added bonus is you will no longer be threatened by billing noncompliance. Call for special casting requirements. 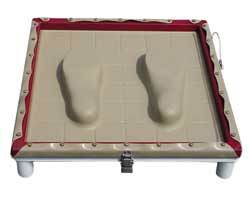 The Arch X-PRESS from Freedom Fabrication provides exceptional onsite molding capabilities for your podiatric needs. Features include a 20" x 20" table with heavy-duty 16-gauge steel frame. Super-fast pull-down makes working with graphite simple, and the bladder change is quick and easy with no tools required. Call now for pricing and availability. 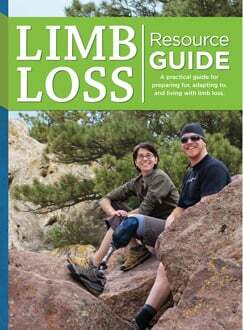 Are your patients having trouble getting their shoes or boots on over their prosthetic feet? The ingenious new Boot Buddy, available from Knit-Rite, is a low-friction donning sock that makes it easier to don shoes and/or boots over a prosthetic foot. 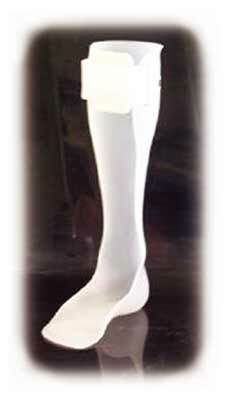 The Boot Buddy, made of 100-percent nylon, is available in medium and large sizes to fit most prosthetic feet. The updated 2003 Foot & Arch & Fabricating Catalog from PEL Supply is now available on CD-ROM for immediate shipment. 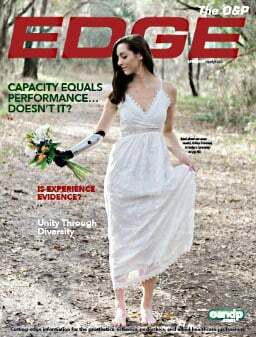 This new 92-page electronic catalog provides a full range of orthotic products and materials for practitioners to treat foot problems--from ready-made orthotics and footwear to fabricating supplies and tools. Included are thousands of products and fabricating supplies. The user-friendly catalog includes an index, complete descriptions, photos of almost all products, specifications, options, and ordering information. Included are a current price list and printable order form. 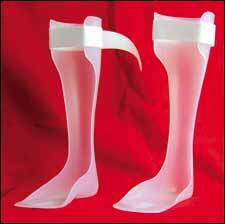 Orthosis from U.S. Orthotics, made from natural polypropylene, assures proper strength, control, and comfort. Sized from Small to Extra-large, the effective hook-and-loop closure design guarantees an easy on-and-off application in either a left or right selection--right off the shelf. 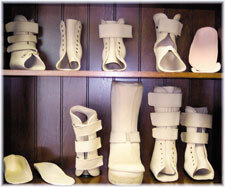 It is just another way U.S. Orthotics gives your patients the very best. Since 1979, U.S. Orthotics has been recognized as one of the industry leaders in the design, manufacturing, and servicing of orthopedic products. Preferred by those that provide the best care for their patients, products are competitively priced, with topnotch service. Fillauer makes Ultra-G Braided materials available for purchase. Ultra-G Braid is offered in several sizes and styles designed to get the right amount of fiber where you need it for strength. 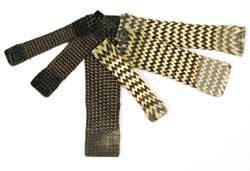 This is the same material Fillauer Central Fabrication uses in laminating orthotic and prosthetic applications. Contact one of the Fillauer Companies; Fillauer, Hosmer or Centri for additional information and prices. Coyote Design has developed an improved version of Coyote Quick Adhesive. It features the same fast set time (15 minutes--faster if heated), but now offers a longer work time, thus making it easier to work with. It is more flexible and offers better adhesion. With no hand mixing required, Quick Adhesive was originally used for the fabrication of the Summit Lock and Airlocks. Coyote Quick Adhesive is also ideal for socket repair and sock reinforcement. Because of its safe, no-sag formula, it can replace epoxies and gunk. Dispensing gun and mix tips are required. The Currier Coupling Plus is a laminated four-hole European-style socket attachment block designed with a center opening enabling use of a four-hole clutch lock. 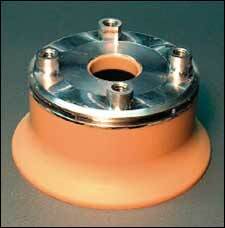 Place the Currier Coupling Plus on the mold, apply vacuum and the unique urethane conforms to the cast, eliminating the need for filling or blending. 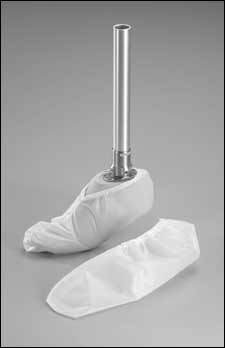 A groove is milled in the coupling, allowing the PVA to be secured with the provided o-ring and eliminating the need to cap your inside bag. Milled standoffs are another standard feature facilitating even lamination. The Currier Coupling Plus is easy to use, saving you time and money! Try it now! 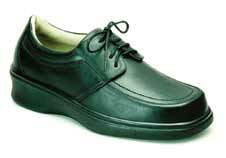 Orthofeet introduces the Model 712 Women's Diabetic Shoe, which combines attractive styling with excellent function. Model 712 is designed for women who choose extra protection and comfort but do not want to compromise on style.